The drum beat of the continuing and quick cultural shift to mobile device dominance continues to grow—Google announced that more searches take place on mobile devices than desktops in 10 countries, including the U.S. and Japan. These searches are often driven by ‘need-to-know’ information or utility-based actions (rather than entertainment or more passive consumption), which aligns with a lot of the information and resources government agencies provide on their digital properties. Flurry released research earlier this year that pointed to similar audience expectations on being able to do more complex tasks, faster and easier on mobile devices. 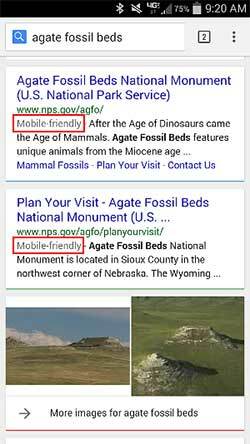 More searches taking place on mobile than desktop isn’t surprising as the industry continues to shift to be more mobile first; earlier this year Google shifted search results to give higher rank to mobile-optimized sites, billed by many as the “Mobilegeddon.” Microsoft’s Bing search engine announced this week that they are also going to make similar changes to elevate mobile-friendly sites in their search results. 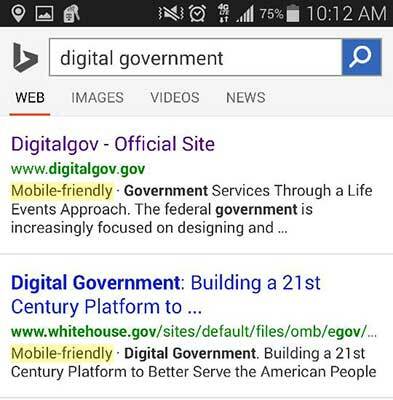 For government services, this is just more of a continuing trend that should motivate you to move as quickly as possible to make sure all your digital properties are optimized for mobile. If your agency needs to help, please check out the cornucopia of mobile resources on DigitalGov to help prepare you for that process.